I've been using these three on rotation recently and thought I'd report back in case your poor scaldy face was looking for a bit of extra hydration station across the nation. I don't find these affect my makeup at all, but I'm careful about how much I spray on at any one time. So if you go heavy handed, you might see a bit of movement south with all of your makeup. So start with a bit and see how you get on. The YonKa Lotion Invigorating Mist is pure luxury and while the glass bottle isn't very transportable, decanting it into a small plastic bottle with a pump will do the job. The mist on this bottle though is so fine and delicate that each spritz is like a breeze... A wet breeze, but a breeze nonetheless. It helps balance the skin and prepares it for the rest of your skincare routine, but can we have a second for the scent... I know J Rock, smells don't change cells, but this smell has me nearly horizontal with how soothing and relaxing it is. It's a spa in a bottle, so I've been having at it when I want to take a break from the laptop and just have a minute or two of peace to myself. This will last me for ages as the bottle is 200mls and a very reasonable €32 on the Millies website. Last year I got to work with Penneys on a skincare campaign and I still use some of the products I tested out, this one included. The PS... Hydration Boost Face Mist is a wet one in that if you're going to spray this over makeup throughout the day, give yourself a good arm's length or you'll soak yourself. But it dries quickly and the coconut water, aloe vera extract and hyaluronic acid makes for a really cooling mist that I think I'm going to bring away on holidays with me. If you want to try out hydration mists and see what the fuss is about and don't want to spend a lot, this is a great one to start with. This mist has a really wide wingspan in terms of the spray itself and by holding it directly in front of my face, the spritz covers the entirety of my massive mush. It's one of those really strong, concise yet lightweight sprays and I'm going to have to show these on Snapchat or Instastories to explain what I mean, but if you spray it, you'll know what I mean! Cactus Flower and Tibetan Ginseng is said to help skin maintain essential moisture and lavender, geranium and rosemary oils help to detoxify and protect the skin. Again, this is a good one for on the go because of the plastic bottle and can be used as a skin booster throughout the day. It can be bought in Kiehl's shops and from Debenhams too. Now with all of these, and any sprays I use really, I cover my eyes just in case. I can have sensitive eyeballs sometimes and I'm not willing to give these sprays a go without protecting my eyes, but I just wanted to give you the heads up in case you spritzed willy nilly. So tell me, are you a spritzer? First look! Urban Decay Kristen Leanne Collection, photos, swatches! When some of the Urban Decay X Kristen Leanne arrived for me to test out, my first thought was "Who is Kristen Leanne", followed by "Ok I must be very old now not to know who she is", followed by "She does my kinda packaging, bright, in your face, yes, I must learn more about this Kristen Leanne". So for those not in the know, Kristen Leanne is a cruelty free influencer who's mad about bright colours and glitter, tattoos and loves makeup. I'm going to follow her on the social medias and see what she's all about! The Urban Decay X Kristen Leanne palette is not for the faint hearted and if you think the packaging is in your face, wait until you see what's inside! Inside we have 10 eyeshadows, some jewel toned, some bright, a couple of mattes and a couple of iridescent shades in the middle. Now, when I was doing a first impressions on Instastories, I mentioned that I felt there was a lot of wasted space in the palette. I'd have liked either a smaller palette with less cardboard, or bigger eyeshadows. 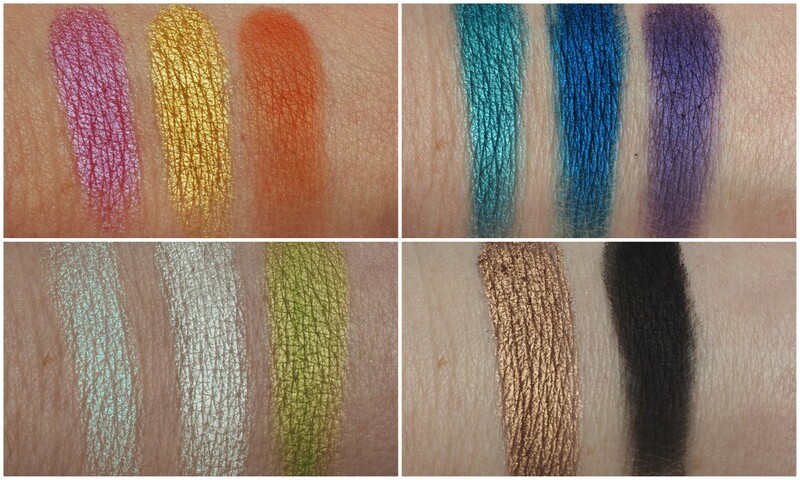 After swatching them, I want more product because they're gorgeous! Also, and this is just me being picky, I'd prefer the shadows to be all the same shape and size, but maybe that says more about boring me and Kristen went outside the box and tried something different. But I've waffled enough here, let's get to the swatches shall we? The shadows swatch beautifully... I've tried to organise them in sections, but I've labelled the photo underneath. 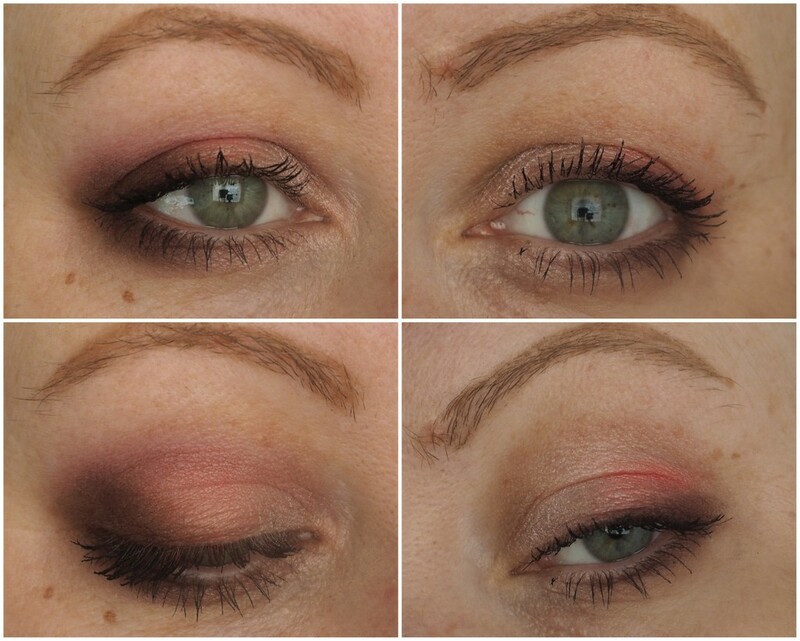 If you love bold makeup and aren't afraid of colour, I think you'll love this palette. I'm going to step outside my comfort zone and give them a proper go for Instagram! Being the neutral lover that I am, I love Tajin, that matte orange, Corona, a beautiful coppery rose gold and Leo, that mint duochrome shade. The rest are beautiful, don't get me wrong, these are just the shades I was drawn to initially. 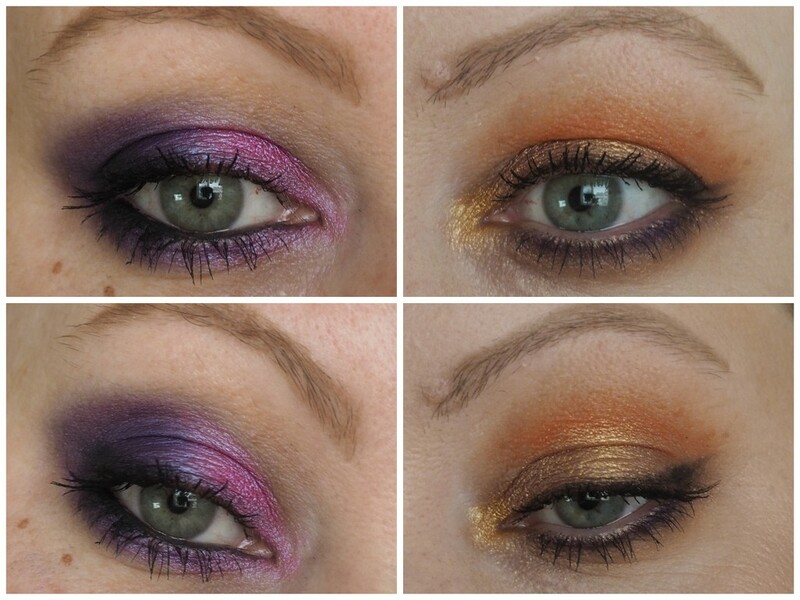 I want to wear more colour on my eyes this year so this palette might just do the trick! I think the €34 price tag is fair considering the shadows are a bit small. I went to check it online, expecting it to be around the €47 mark like the Naked palettes, but €34 is much better. There's also a neutral eyeshadow palette in the collection that looks to be right up my street and it's €31, so not bad at all. Kristen also has the Beauty Beam Highlight Palette and I've fallen hard and fast for this. The three shades definitely lean towards the warmer, more golden end of the highlight spectrum and they're ones I'd usually go for myself. I tend to wear these hues over cooler, more silvery shades. They all apply like butter and I'll show them in action on Instagram this week. I'd even wear each of them as eyeshadows too. They're soft, almost creamy with little to no fallout. The palette is €29, I'll get lots of use out of it and I'm happy that Kristen kept this a bit more wearable for less brave folk like me! Kristen has three Vice lipsticks in her collection and I was sent Bun Bun. It's a warm matte light brown shade that feels comfortable on the lips and if I was to wear this, I'd need a lighter shade in the centre of the lips, or a lighter gloss over the top because it's quite dark on me. But if you love your brown toned nudes, you'll love this and it'll set you back €19.50. The Urban Decay X Kristen Leanne collection is available to buy now in stores and online. Will you be picking anything up yourself?! It's a good day when I get a delivery from Charlotte Tilbury, complete with balloons and on Valentine's Day too! And she sure knows the way to my heart... 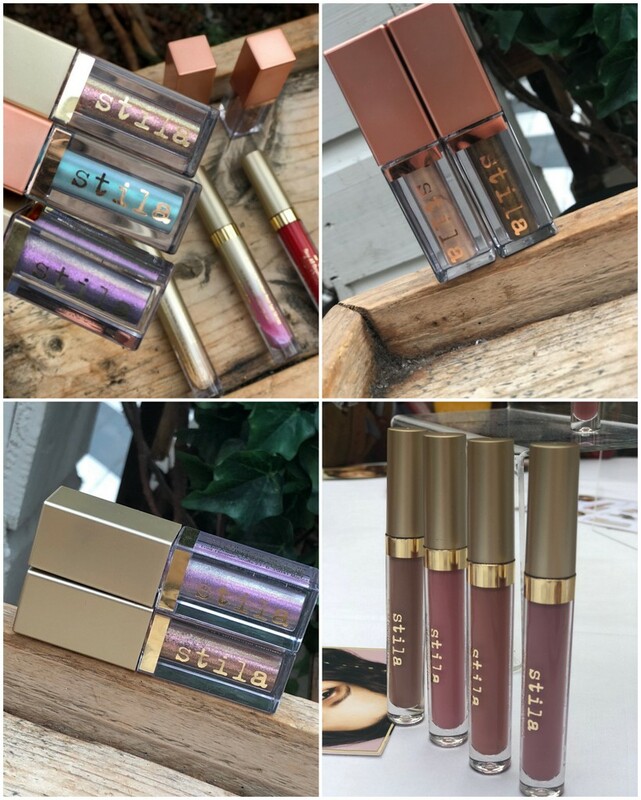 I've loved every lip product I've tried from Charlotte Tilbury and her new offerings are no different on first impressions! The Charlotte Tilbury At Your Lip Service Trio (€84) has three lipsticks fit for a queen and after swatching them, I fell in love. Royally. And I think my favourite part is that each of the lipsticks in the bullets looked different actually on me. You'll see in a second. But on me, it is the most beautiful shade of pink... I don't really wear pink shades, but this one... It's jewel toned, it's so flattering on me and while I'd usually give my pinks away, this one ain't going anywhere! The Matte Revolution lipsticks are some of my favourite to wear and while they don't set dry, there's still a bit of movement to them which my dry lips love. Next up is the KISSING Lipstick in The Duchess aka me in lipstick form. Now this one looked like it was going to be a really dusky pink shade from looking at it in the bullet. But on me, the peachiness took over and I love it! The KISSING formula is really moisturising and has a glossy finish, right up my street altogether. It was hard to get the true colour of it on camera as the sun kept going in and out, but in this light it looks peachy, almost caramel on me and it's a gorgeous "throw on with any look" kind of a shade. I'm going to see if it looks different in other lighting and shall report back to you! It's a true wine shade, is ridiculously wearable and if you don't fancy wearing a true red, maybe something like Legendary Queen might be worth checking out. I absolutely love it and it's almost like a terracotta type of a red on me. I'm going to get more wear out of it than I first thought now that it's not brown! Charlotte has launched five new Lip Cheat Pencils and I can't wait to use these as I still love my Pillow Talk one. I'll show them in an upcoming video so stay tuned for that. Finally we have the Matte Revolution Lipstick in Opium Noir. This was part of a gift set recently and they've brought it out on its own. If you like your vampy shades, you might want to check this out! This is a really deep brown toned crimson shade on me and of all the four lipsticks in this blog post, it's the one that wasn't as flawless on me compared to the others. It had a tendency to cling to dry patches when I applied it from the bullet, but as soon as I patted it in with my finger, it evened out. But looking in the photo below, it still looks a bit patchy and uneven on me. Now in fairness, my lips were quite dry at this point from all the swatching and removing of the previous lipsticks, so I'll be trying Opium Noir out again when they're in tip top shape. I just wanted to give my honest experience with it when trying it for the first time. All of these lip products are available from the Charlotte Tilbury website and if I see them on the Brown Thomas site, I'll let you know. Which is your favourite shade? Let me know in the comments! I posted these photos over on Facebook yesterday and had some fab feedback so I thought I'd post it here as well! I've a couple of events and christenings coming up and have been doing a bit of online window shopping to see what's new. Asos never fails me... It knows what I like and it has the things I love... I was supposed to go to a fancy thing in Powerscourt recently but wasn't well, so I have a gorgeous spangly fancy dress to wear but nowhere to wear it. It's too fancy for a party or a christening, so I did what any normal woman who has a wardrobe of things waiting to be work did. I looked online. Just because. Now I'm a lady who's large and in charge so I don't wear short dresses, and midis just have my heart. You show enough leg to warrant fake tanning from the kneecap down, and you still feel like you're not exposing too much flesh. Flesh. What a manky word. BUT I DIGRESS! I picked out 10 of Asos' gorgeous midis that I myself would wear, in the hopes that it might help a fellow bridie out. 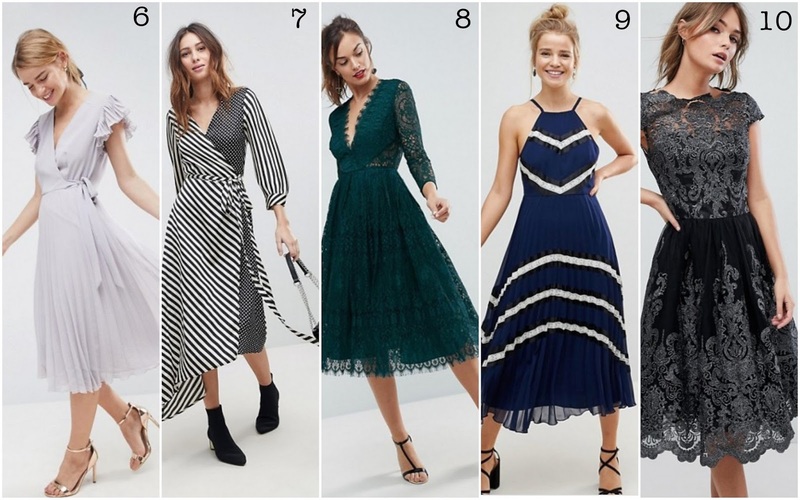 Most of them area really reasonable and as someone who only wears dresses on special occasions (with my anti chafing shorts a la Aisling Mariah Keenan), I love each and every one of them. I've attached affiliate links but by all means, don't feel obliged to use them. Just search for midis on Asos and you'll find them. I absolutely love these gunas and have spent far too long watching the videos of them in action wondering if I too can look like a lady, flouncing around the place. I think it's highly unlikely that I can glide the way the models do, but a girl can dream eh! 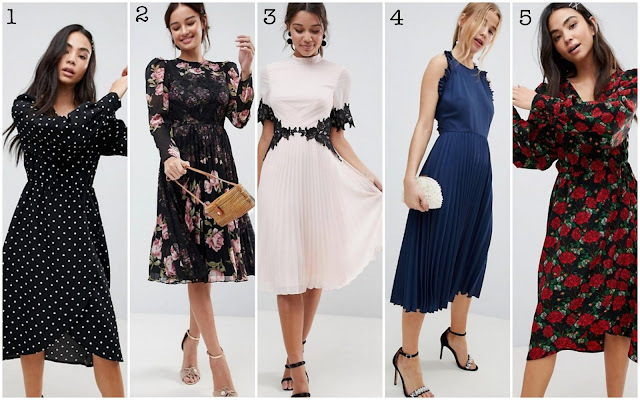 Which one is your favourite dress? I can't pick favourite and am now considering becoming a fashun blogger so I have an excuse to start shopping more! L'Occitane Terre de Lumiere L'Eau - spring time in a bottle! Say bonjour, comment ca va, ou est le centre de George Pompidou, to L'Occitane's Terre De Lumière L'Eau. The bottle has the same shape as the original fragrance, but this time it's got touches of pink on it, a nod to the dawn light of Provence. I love how the two Terre De Lumieres reflect the start of the day and the end of the day, making a grand duo altogether. Now because of these two perfumes, I feel the need to visit Provence. If it smells like this in the morning and smells like Terre De Lumiere in the evening, sign me up and ship me out lads. With top notes of bergamot, pink pepper and blackcurrant, heart notes of pink peony, and base notes of bitter almond essence, tonka bean and white musk, it's a mix of bright zestiness, delicate floral and round warmth. To me, this is a more sophisticated scent than the original. It's lighter and fresher, with hints of citrus and way more floral, making it the perfect daytime spring fragrance. Right now in Ireland, the skies are mainly grey and they can make me feel a bit meh, but every single time I spritz myself with this, I feel refreshed and it puts a little pep in my step and at the moment, I need all the pep I can get! The scent is available now at €55 for 50mls and €75 for 90mls and there's an accompanying shower gel, body milk, radiant balm and perfumed soap if you're a fan of layering your products and helping them last longer. AND, Mother's Day is coming up in a few weeks so this might be a good one to treat the mammy to!